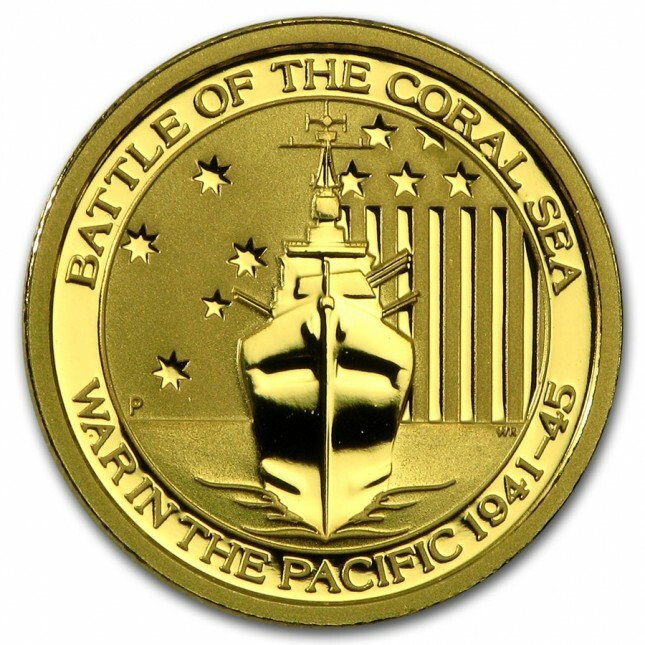 In 2014-2015, the Perth Mint of Australia issued this commemorative Battle of the Coral Sea - War in the Pacific 1/10 oz gold coin. This special edition piece memorializes the collaboration between the United States and Australia in World War II. These have become extremely hard to find, but we were able to secure a small group at an outstanding low price. Coins come in hard plastic capsules direct from the Perth Mint. Third in the "War in the Pacific" 1/10th oz gold series. 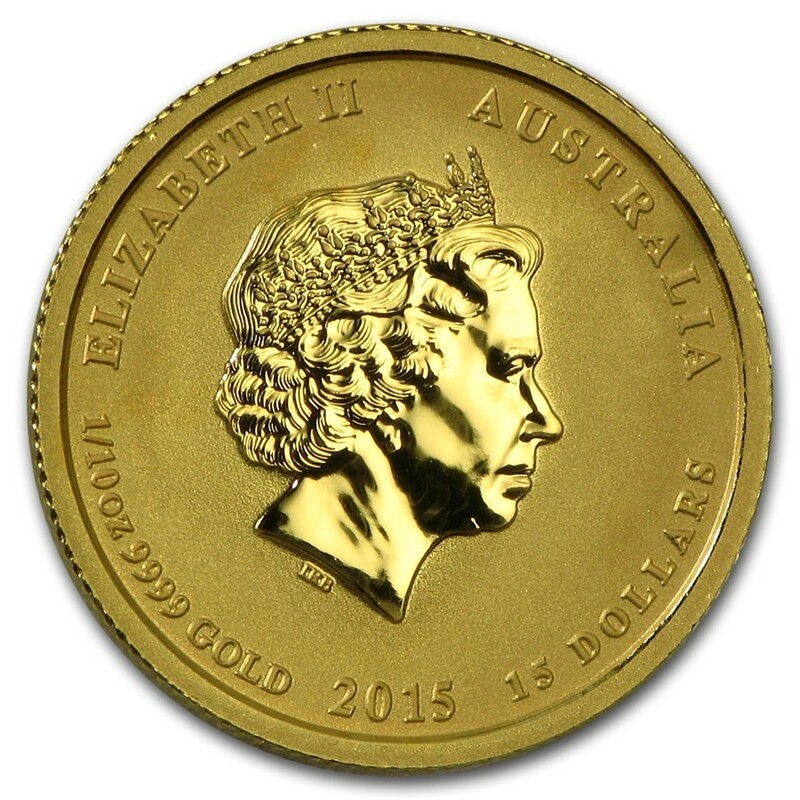 The obverse depicts the bust of Queen Elizabeth II along with the denomination, weight (1/10 oz), purity (.9999) and the date (2014 or 2015). The reverse depicts a WWII battleship along with the Southern Cross constellation and the United States stars and stripes. Inscribed are "Battle in the Coral Sea" and "War in the Pacific 1941-1945". Bought one of these, just to add to stack as bullion. Got a great deal over melt for a tenth ounce coin. Could not find one cheaper ANYWHERE! (And I know where to look...) I was going to order more a few weeks lare...maybe the Tuvalu Pearl harbor...but they were ALL out of stock. I sure hope they return. Mine is a small, but beautiful coin. It all adds up folks...even a tenth at a time...Thanks for supplying this Monument! As Low As $7.99 Over Melt!